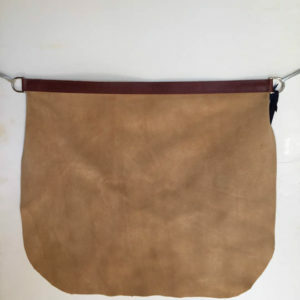 Blacksmith leather aprons , your style or mine. You will see four styles listed. 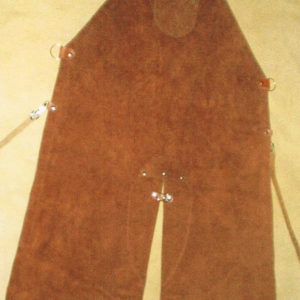 You may add or remove pockets , tabs, buckles etc. by emailing me or phone call. 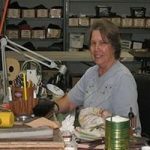 I buy my aprons from Diana every couple of years or so, at the California Blacksmith conference. I'm a professional smith, but I like a lighter, softer apron - typically from Elk. 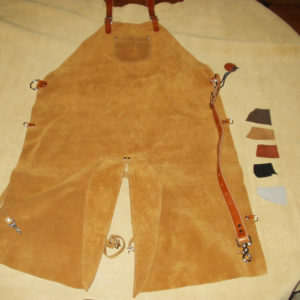 Diana has these types of aprons on hand - in a variety of colors. I've been very impressed with the quality of the product and the construction. 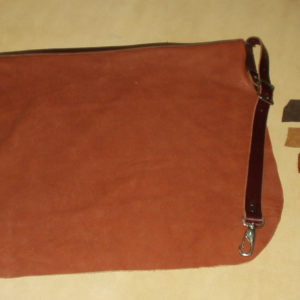 Leather is a natural material. Leather is a lot like our skin – porous. Leather “breathes” by absorbing up to 15% of its own weight in humidity/water. It absorbs and releases moisture that never stays on the surface enabling it to adjust to our body temperature. 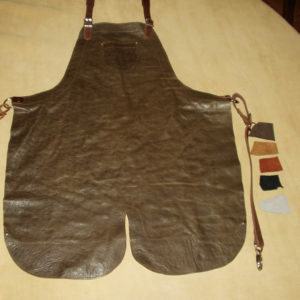 Leather has excellent temperature adaptation making it comfortable during the heat of the summer and cool of the winter. 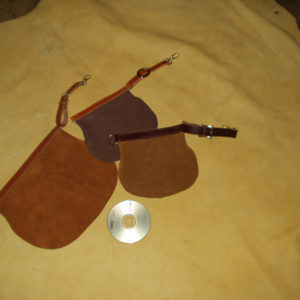 Leather molds to a form, but will not stretch out of shape. Leather conforms to your body shape and becomes more comfortable with use. Only leather ages so that it becomes more supple throughout the years. Each leather hide is unique – No one hide is exactly like another. 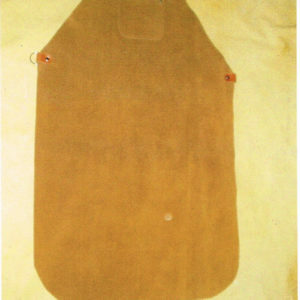 Leather comes with its own distinctive markings and characteristics making each purchase truly unique. Leather has legendary tear strength making it one of the strongest upholstery materials known to man. Leather’s strength and elasticity gives it high ripping resistance. 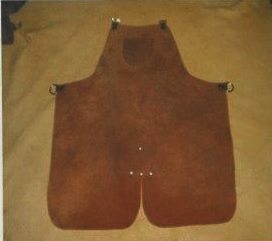 Leather is naturally flame resistant and will not readily burn or melt. When properly maintained, leather is easy to clean. Like our skin, leather has tight as well as strong fibers that prevent the penetration of dust, lint, animal hairs, or cigarette smoke. Leather is an ideal choice for those persons who are dust-sensitive or possess allergenic conditions. Treat leather belting and straps with a leather conditioner to prevent cracking. Leather could last a life time if properly cared for, requiring very little maintenance. We ship anywhere in the world within 2-6 weeks. If you buy something, we give you 30 days, no questions asked, to contact us, inform us you’d like to return an item. Then you just need to ship it back to us. Once we receive the item back to us (in its original condition), we will gladly give you a refund, less the original shipping. Please contact us via the “Contact Us” link if you have any questions, we will reply to you within 1 business day.